When we were little, one of my brother’s best friends was Canadian. Coming from another country, there were numerous things about this boy which we found fascinating: his Mum made incredible chocolate chip cookies on a regular basis (I’ve explained before that mine was more of the raisin and apple offering inclination); his family had a BBQ the size of a small car in their back garden (which they’d brave even in winter weather to cook the most incredible slabs of meat on); at nine years old his school had never allowed him to use a knife to eat with (bizarre, but true). Another source of intrigue was his accent. Being British, southern and lacking in any discernable or exciting accent to call our own (to my ears anyway), we loved hearing the way he’d pronounce certain words, and would often try to get him to attempt an English accent. Perhaps not the most exciting form of entertainment ever invented, but we were only little and, as an alternative to eating apples or raisins (see above), it was probably pretty appealing. One word which caused a huge amount of confusion was the name of his guinea pig. A tiny, furry fuzzball with long white hair and a piebald patch over his eye, this pet was affectionately known as ‘Hairy’ on account of his, well, hairiness. It made complete sense, and might well have earned him a place in the hall of inspiring animal names alongside Hammy the hamster and Goldie the goldfish. Except his name wasn’t ‘Hairy’. He was ‘Harry’, and just happened to have an unfortunate amount of excess hair. And an owner who’s accent we couldn’t quite understand. Graham crackers aren’t that common in the UK. While our American counterparts use them as a cheesecake base staple, we have the humble digestive and, while comparisons are often made between the two, they have some fairly crucial differences in taste, texture and flavour. Rather than being made with oats and wholewheat flour, graham crackers substitute oats with ‘graham’ flour, which you could be forgiven for thinking was chickpea (or ‘gram’ flour) if you’d ever heard it pronounced in an American accent. Now you see where I was going (or trying to) with the whole Hairy/Harry guinea pig thing. Graham flour is a high protein variation made from unbleached wheat flour mixed with coarsely ground wheat bran and germ. 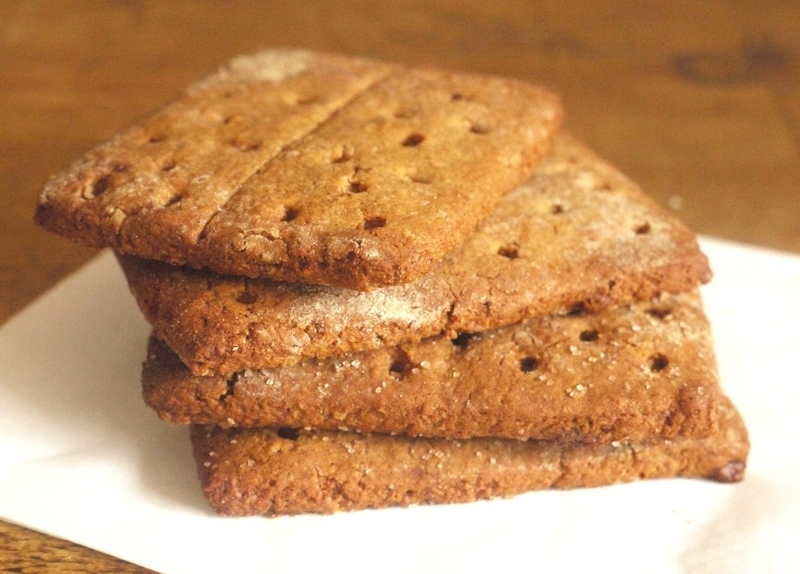 Graham crackers, the vehicle which arguably made the flour famous, were – like the British Bath Oliver – originally conceived as a health food of sorts. And although the sweetened, honeyed versions people now use to sandwich together S’mores and cement the base of cheesecakes are probably not quite what the original inventor intended, they are pretty popular around the world. Having never seen a packet of graham crackers in the shops over here and wanting to know what all the fuss was about, I decided to make my own. 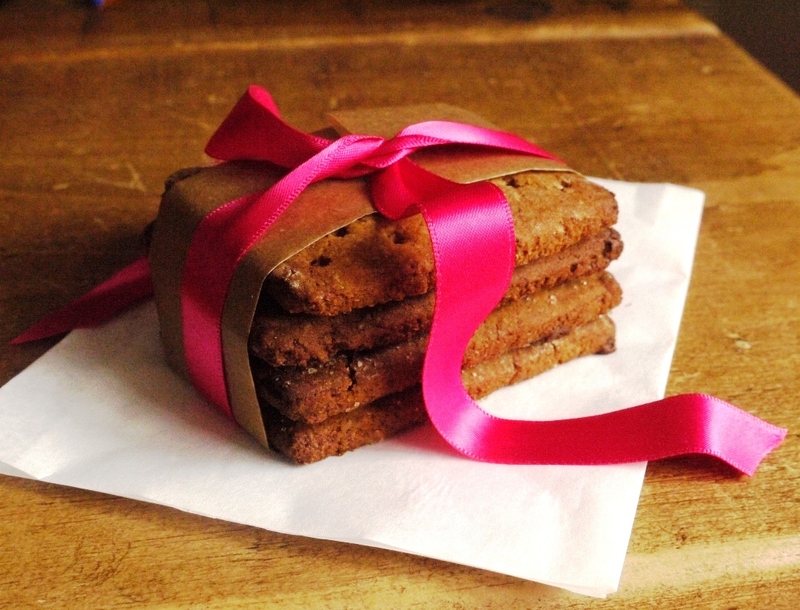 As I’ve discovered with these homemade digestives and these ‘real bourbon biscuits‘, homemade versions of these shop-bought favourites are often even more delicious, and having seen some beautiful pictures here and here, I didn’t doubt that these would live up to expectations. Unfortunately this weekend I wasn’t able (read patient enough) to get my hands on some graham flour, but I’m assured by a number of online recipes from pretty credible chefs that whole wheat flour is an (almost) acceptable substitute in times of need. To mix things up a bit, rather than using all whole wheat, I threw in some nutty buckwheat flour from a packet I’ve been wanting to use up. Eat these lovely little biscuits for breakfast. Dunk them in a cup of tea. Go all-American and sandwich them round toasted marshmallows and melting chocolate or crush them up with butter for the ultimate biscuity base. Just don’t get them out of a packet – homemade is so so so much better. Pulse together the flours, brown sugar, baking powder and soda and salt in an electric stand mixer fitted with the paddle attachment. Alternatively you could do this in a magimix. Add the butter and pulse until the mixture resembles coarse breadcrumbs. In a separate bowl, combine the honey, milk and vanilla extract. Add to the flour mixture and pulse until it barely comes together as a dough. Lay out a large piece of cling film and dust with flour. Press the dough into a rectangle on top of the cling film, about 2cm thick. Cover with another piece of cling film and chill for two hours. Line two baking sheets with parchment paper. Dust the worksurface with flour. Take your dough out the fridge, remove the cling film and roll out into a long rectangle less than half a centimetre thick (about 0.3cm). Trim the edges and cut into rectangles about 10cm by 5cm. Place your rectangles onto the baking sheets and chill one hour further. Preheat the oven to 175 degrees C. Remove your crackers from the fridge. Mark a vertical line down the middle of each cracker then, using a cocktail stick or skewer, prick little dots either side of the line. Sprinkle with the topping if using, then bake for about 20 minutes or until golden brown and fairly firm to the touch. Remove from the oven and cool on a wire rack before storing in an airtight container. I’m so intrigued by these – I always read them in American recipes (as you mentioned, usually for cheesecake bases) but have never seen or tried them. 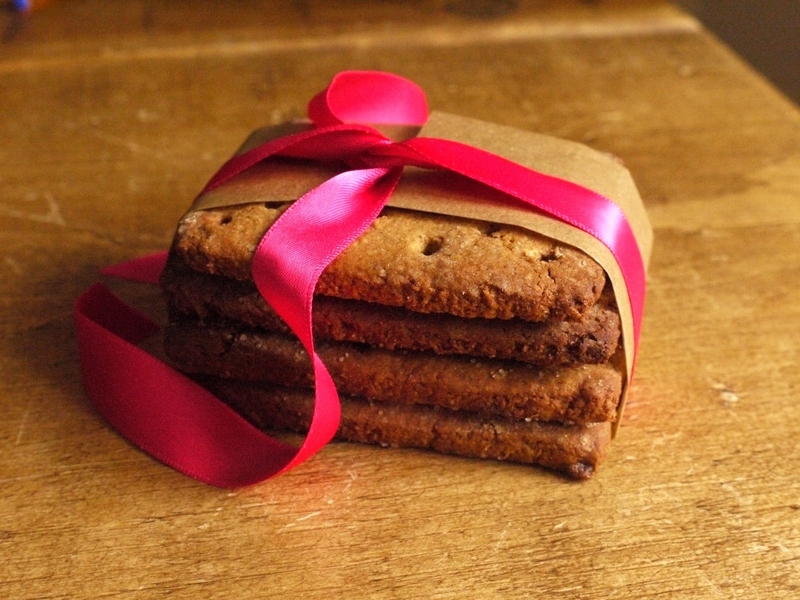 They look really tasty though – I love wholewheat biscuits, they have such a lovely nutty flavour. Where do you get your buckwheat flour by the way? The only place I could find it was my local health food shop, but it was £5 a bag! I love when you tackle a recipe that is a packaged staple and make it homemade. And as you said, it’s usually so much better:) I like that you used buckwheat flour here – I bet it does add a nice richness to the cookies. As an American, I have so many fond memories of graham crackers and every time I see one I want to have s’mores! Graham crackers are so delicious but I didn’t know about graham flour. I made some with regular flour a while back and they were really moreish (although I used them for a cheesecake so I didn’t get to Smore them! :P). Wow, it’s great recipe. This graham crackers can be so many desserts’s base. I’m saving the recipe. It does amaze me that we still aren’t able to access graham crackers over here yet. I first get to know them because of s’mores and would love to try out your recipe. They would make the perfect receptacle for a gooey hosted marshmallow and I think look far better being a little thicker…..more flavour that way! This allows me a small snigger when I eat a Graham cracker (or a cornflake) which also wasn’t what he had in mind. I love the homemade version of these and must try them with buckwheat flour. I think they are much nicer than a digestive if I’m honest! The crackers look amazing! I have not been able to find graham crackers at the place where I live, so I really want to try it out to find out the difference between them and digestives! I have wanted to try making these forever! Yours look fantastic! Your graham crackers look perfect! I love your addition of buckwheat too. I’ll have to try that sometime. Elly – I think the buckwheat flour I have is Dove’s Farm, bought in Waitrose. I got it to make pancakes for a gluten free friend but it’s delicious in its own right. Erin – I’ve never had a s’more…need to rectify that asap! Lorraine – I used most of mine in a cheesecake too – seems such a waste to smash them up when so much care has gone into making them though! Laura – I think mine were probably a bit too thick, but I didn’t have much to work with for comparison! Bubbly Baker – they’re really delicious, do give them a go. Jasline – thank you, enjoy the recipe. Sarah – ah, thank you. As an American, I love graham crackers (not just for cheesecake base – I would love to make one of the variety of s’more cookies out there!) I pick some up when I’m in the US, but will give it an attempt by these! Very cool! I just read another post about these too in the last 10 minutes why does that always happen? Yum – I’ve made digestives before using a Hugh Fearnley-Whittingstall recipe and they were delicious. Have been intrigued by these – came across them as an ingredient in ‘smores’ (crackers, melted marshmallow and chocolate but we used salty ritz crackers instead. i will try these! Lovely recipe, I think with marshmallow and chocolate sandwiched between them it would be heavenly! I agree, homemade is nothing like the dry packaged ones and these look beautifully golden and delicious. I’ve never been able to find graham crackers before so annoying lol but i’d love to try and make some myself 🙂 I am addictive to digestive biscuits do they taste similar? Elaina – aw, you’re too kind. I’d love a box of real graham crackers to compare! Recipe Junkie – I’ve made Hugh’s digestives before too, very tasty! Working London Mummy – absolutely! Daisy – I think digestives have a very distinct flavour because of the oats. These aren’t dissimilar, but have their own unique taste. Terra – thank you, enjoy! 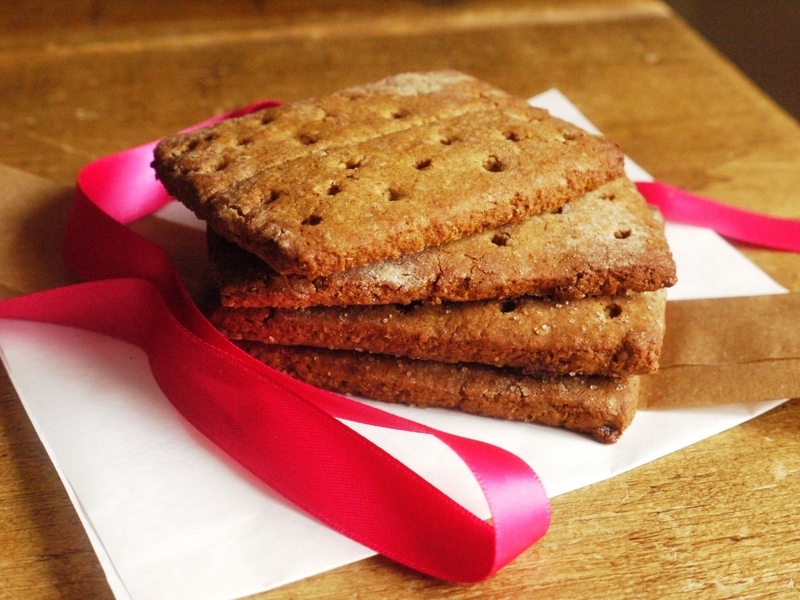 I made graham crackers absolutely ages ago for my first Daring Bakers challenge. They didn’t go particularly well and I’ve been meaning to try again ever since. Need to get a move on! These look lovely. Ahh brilliant, you’ve demystified graham crackers at long last. They sound very tasty indeed – just got to be with all that honey inside. Love the idea of making “shop bought” biscuits but the only one’s I’ve managed so far are jammy dodgers. As an American, I loved the Harry/Hairy story. And since I first discovered you through your homemade digestives post, I can’t help but feel a certain affection for this post, not just because I am American (although I admit to having eaten much more digestives than graham crackers in my life). I had tried to make those after seeing a recipe on one of the American sites, but was discouraged by the flour issues not to mind the cup measurements – I must try with your instructions. I’ve been meaning to make these for a while and yours look very tasty. Did you ever see Bakerella’s Instagraham crackers? I didn’t know about the graham flour though, I’ll have to try and find some of that. I always use plain hobnobs for a cheesecake base, I much prefer that over digestives. Ohhhh, I’ll take your word for it that this recipe is good – I’ve been meaning to make these for ages and your post reminded me of this! i love graham crackers! an american little kid staple. 🙂 i discovered digestives in italy this year and i love them! beautiful touch with the ribbon. Emma – you should definitely try them again, they’re delicious and I’ve never found them in the UK shops. 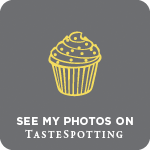 Choclette – they are top of my list to try next! I have a Fiona Cairns book with a giant Jammy Dodger recipe in it…looks amazing. Amee – I cracked and bought some cup measures about 6 months ago. Now I measure into them, then record what it should be in grams for the future. The only thing that still really confuses me is sticks of butter…! Sarah – thank you. I don’t have a lot to compare these too, but they had a good amount of crispy snap. Lisa – I used to have guinea pigs too, but short haired ones. They were so cute! Love the use of buckwheat flour here! I’ve always wanted to try these!!! Oh yummy. We’re going camping this weekend and I’ve had smores on my mind. These are perfect! I always make my own marshmallows (easy and sooo much better than store bought) – but I’ve never made graham crackers. Thank you! What a lovely post! Homemade is usually always better than the shop-bought versions and I’m happy to see that these turned out well at home. I would love to give these a try! These crackers look so real!! I am tempted to bake these as soon as possible. Nice photos!! Love how you did the little indentations on them and everything! and I love the pretty pink ribbon tied around them! Unfortunately I’m going to have to disagree with you on the homemade is best though, I too made my own graham crackers a month or so ago and whilst they tasted good they didn’t have the same texture as a graham cracker out the box and you need that crunch when you’re making s’mores…homemade ones come out too soft so for me I’m sticking with the box kind! Sara – I’d love to try using real graham flour too at some point. Savory Simple – you should! The Spicy Saffron – thanks, enjoy! Cupcake Crazy Gem – glad you like the ribbon 🙂 To be honest, I didn’t have any shop bought crackers to test them side by side so you may well be right, although these did have a good amount of ‘snap’. I’ve been wanting to make some homemade graham crackers, I’ve never tried it before. This recipe looks fantastic! Maybe I’ll spread a little Nutella on them! I want to try these as soon as possible. It would be great to have homemade graham crackers for around the campfire this summer. 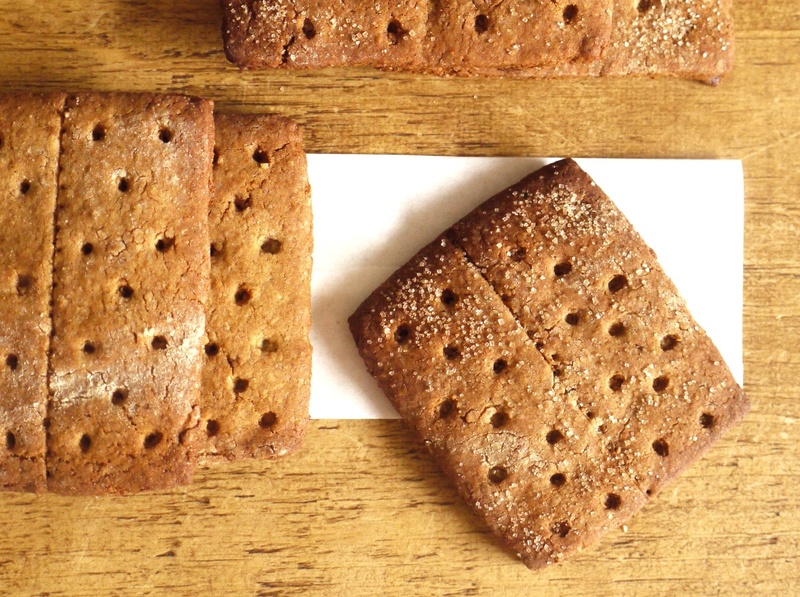 I’ve seen so many recipes with graham crackers but always just substituted digestives – these look delicious and I’d love to make them and start using them in US recipes.